With the Easter break fast approaching, the team here at Mobility One were wondering where and what events would be a good place to suggest for you to spend some family time. As we are based in Oxfordshire, Blenheim Palace at Woodstock came quickly to mind. They have organised an Easter Egg Hunt for the kids, featuring clues to be solved and prizes to be won. There is much more to enjoy during the bank holiday weekend on 3rd-6th April. There will be a bouncy castle and traditional fairground rides, and face painting and other crafts to be enjoyed. There’s even a Children’s Shop plus great food at the Pleasure Gardens Deli, where the youngsters can decorate a cupcake or create their unique ice cream combo. That’s before you even consider the Palace, Park and Gardens themselves, which were recently featured on the BBC One Sunday night show The Big Painting Challenge. Inside the Palace, kids can pick up a fun quiz to try, or they could ride the Winston Churchill miniature train to The Pleasure Gardens. To ensure that visitors with disabilities can enjoy their day, mobility scooters can be hired or wheelchairs loaned. You’ll find specific helpful information here. By the way, if you are in the area on Saturday 4th April, running from 8.30am to 1.30pm, there’s a cracking monthly Farmers Market in front of the Town Hall in Woodstock. You’ll be able to choose what’s currently in season and always in taste from a range of meat, fish, dairy, baking, honey, fruit and more. Incidentally, they run regular weekend markets throughout the year in many Oxfordshire and Berkshire locations, including Abingdon, Didcot, Newbury, Ascot, Reading, Charlbury and more. It’s worth checking out their site at www.tvfm.org.uk for full details. 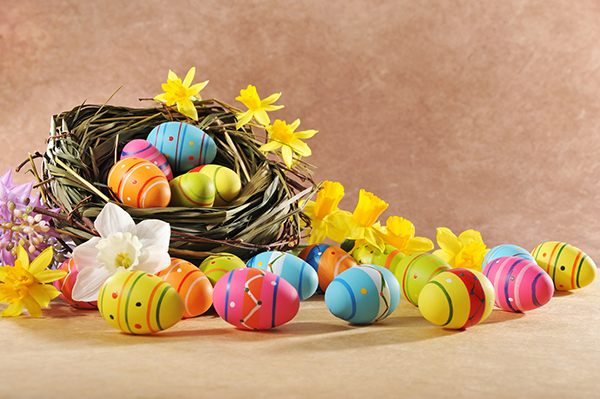 Can we wish you a Happy Easter break, no matter how you decide to spend it. Of course, here at Mobility One, we’ll continue to do what we always do – offer a stunning choice of the best in used wheelchair accessible vehicles, supported with great finance packages and a terrific warranty. Of course, we might just pause for a Hot Cross Bun or two!